The City Council Thursday voted to officially declare a shelter crisis in Sacramento, acknowledging that the city doesn’t have enough shelter beds to house all of those living outdoors on any given night. Sacramento’s declaration follows one made by the Sacramento County Board of Supervisors in October. These declarations will allow the City, County and Sacramento Steps Forward to qualify for about $20 million in new state funding that Gov. Brown included in his last budget after lobbying by Mayor Darrell Steinberg and other mayors from California’s Big 11 cities. Mayor Steinberg said Thursday that the new state money will allow the City to build on its already aggressive efforts to address homelessness. A count taken in December 2016, before Mayor Steinberg was elected, found that the number of unsheltered homeless in Sacramento County had jumped by 85 percent, to 2000, in a two-year period. Since then, the City has launched new programs that have placed hundreds of people into shelters and permanent housing. “We must translate the hundreds we have gotten off the street into thousands, and with the help of the State of California, we have a better chance to actually do that,” Mayor Steinberg said. 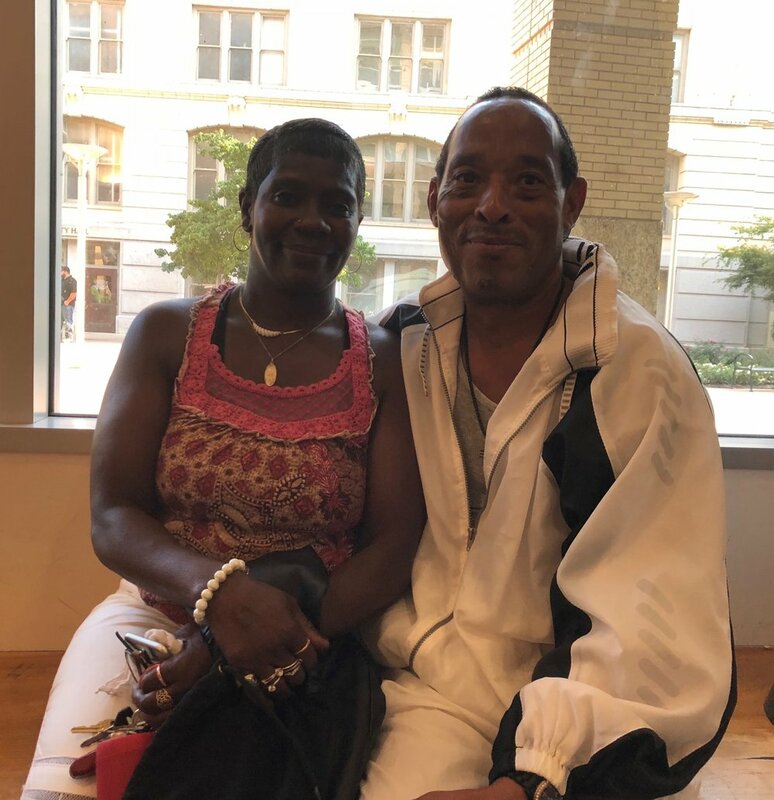 Ramona Jasper and Anthony Moss had been homeless for years but were placed in a house after going through the City’s Triage Shelter and enrolling in its Whole Person Care program. About $7.7 million of the new state funding will go to the City, mostly to expand its successful Triage Shelter program pioneered on Railroad Drive in north Sacramento. Triage Shelters target the people who have been homeless the longest or have medical or mental health issues. Once they are convinced to come inside, they receive wrap-around services that get them stabilized and ready to move into permanent housing. Sacramento’s Triage Shelter has housed more than 600 people since it opened in December 2017. Of those, 156 people have been placed in permanent housing, among them people who had been homeless for decades. The shelter is currently slated to close at the end of December, and Mayor Steinberg plans to make a series of recommendations on how to replace it and expand on its capacity in the coming weeks. The County will use its portion of the new state funds mostly to expand scattered site shelters and provide rental assistance in the form of rent subsidies and “whatever it takes” case management to get people into permanent housing. The Sacramento Downtown Streets Team will receive $600,000 from the City to expand its neighborhood cleaning program from north Sacramento to downtown and the River District. Downtown Streets employs a crew of 25 homeless volunteers who receive gift cards from businesses like Safeway and Walmart or help with their phone bills and other essentials. The organization also helps connect members with permanent housing and jobs. Downtown Streets Team Manager Rachel Davidson said her crew had collected 150,000 gallons of trash from north Sacramento and more than 1,500 needles since January. In declaring the shelter crisis, which will last for 90 days, the Council approved a new policy under which officers will no longer issue citations for illegal camping unless they first confirm that a shelter bed is available on an ongoing basis and offer to transport the camper to the shelter. Police data shows that the camping ordinance was sparingly used even before the Shelter Crisis declaration. Officers issued 11 citations in August and nine in September. In recent years, the Police Impact Team has focused more on offering services and convincing people to enter shelters. “That’s what our public servants should be doing — trying to help,” said Councilman Eric Guerra. “We have other tools,” he said, noting that the City will continue to enforce civil and criminal laws related to illegal dumping, drinking in public, disorderly conduct, the sale of illegal narcotics and other social nuisances.